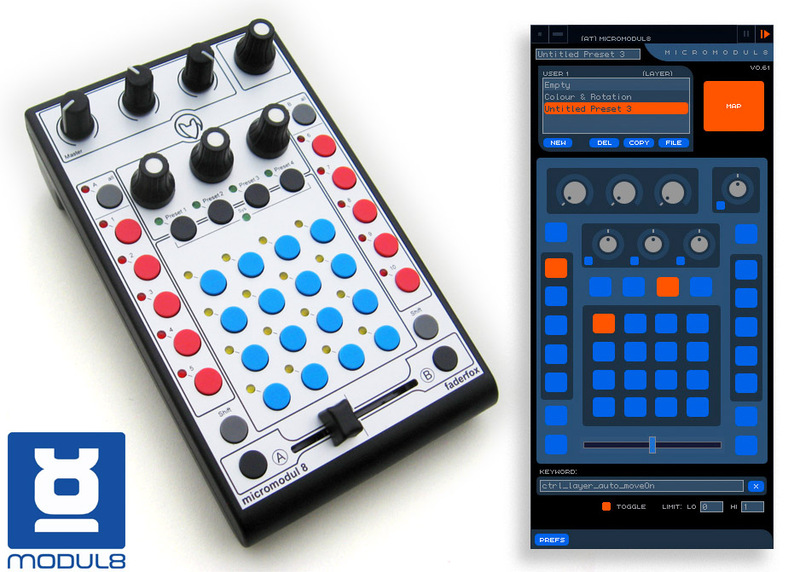 In collaboration with Garagecube we produced the Micromodul8 module the Faderfox VJ3 Micromodul8 MIDI controller. 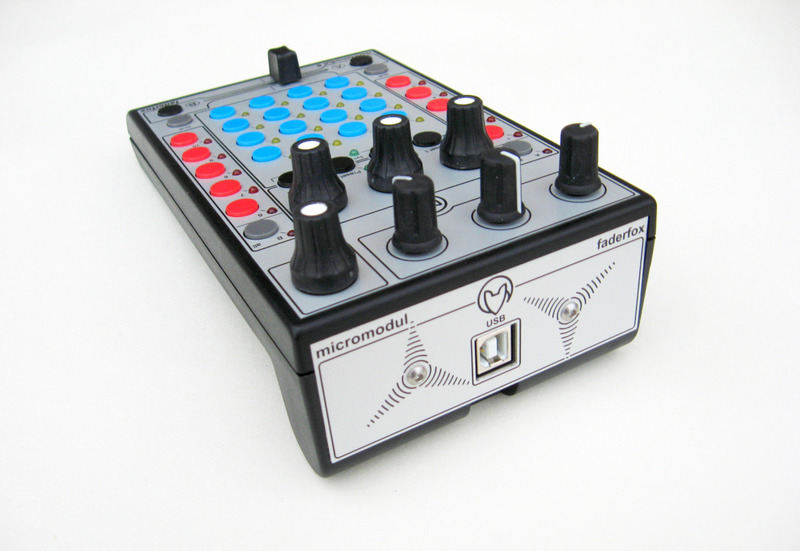 The Micromodul8 by Faderfox is a hardware MIDI controller design by Boris Edelstein (creator of MODUL8) to specifically control the VJ software. There are many features built into MODUL8 to access the power of this very versatile controller, but to gain its full potential we have produced a software module which will do pretty much anything you want! Complete control of MODUL8’s main interface. Create your own user midi maps. Export & share your user maps via XML files. If you want to get to grips with the full features, have a flick through the modules manual (download link below). – Manual for the ‘(at) Micromodul8′ module in pdf. The Faderfox Micromodul8 is available from the shop.garagecube.com. Our module is available from the Online Library within the MODUL8 app itself. Just go to the Modules menu and click on the item ‘Online Library’. Once the librarian is opened select the ‘Public’ section and search for ‘(at) Micromodul8‘.